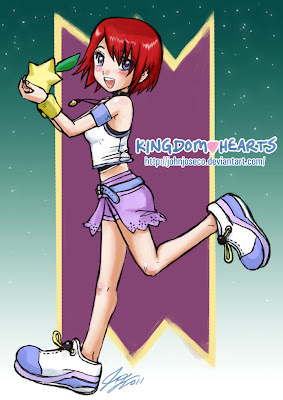 Kairi is Riku's and Sora's best friend. She is 14, and also lives in the islands. 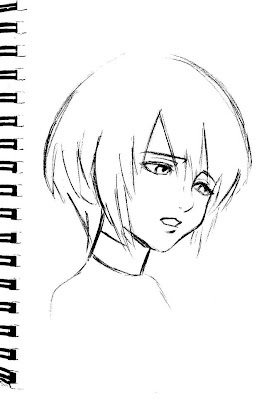 In KH I, she loses her hearts, which enters in Sora, and her body becomes lost. Riku finds it, and helps Maleficent because she promised she would help him get her heart back. It turns out that she was one of the seven Princesses of hearts, and being such, needed by Ansem to control Kingdom Hearts. 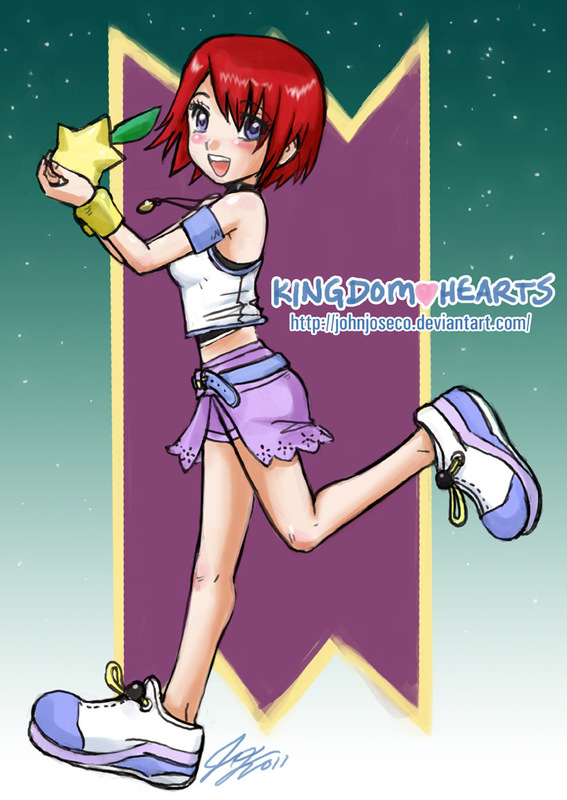 Sora releases her heart and she awakens, along with all the other princesses, whose hearts were all inside Sora (? never understood why... but whatever). 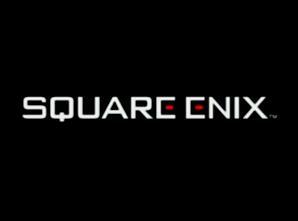 he loses his own heart, turning into a heartless, and is Kairi who recognizes him, and makes him turn back, creating a exception, because he is not reunited with Roxas. She gives Sora her Lucky charm, and he gains the keyblade Oathkeeper, when they are in Traverse Town, before the final world. After Ansem is defeated, she returns to the islands, as all the worlds are "fixed". She spends the whole time between this and the start of KH II there, and she forgets Sora, just like everyone else, due to him being asleep. 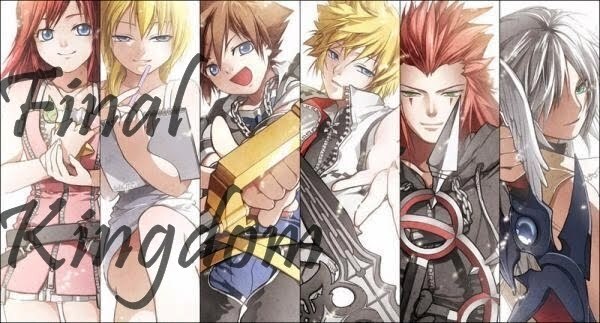 She has a mental contact with Roxas, and, through him, with Sora, and writes Sora a letter, which she throws in the sea. She is kidnapped by Axel and ends up in Twilight Town, where she stays until she is taken by the organization, and made prisioner in the Castle that Never was. 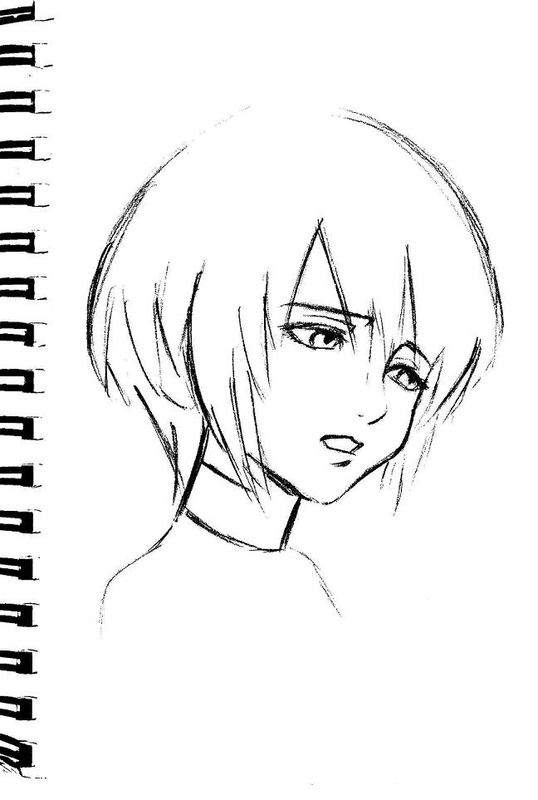 Naminé helps her escape, and reunites with her, since she is Kairi's nobody. 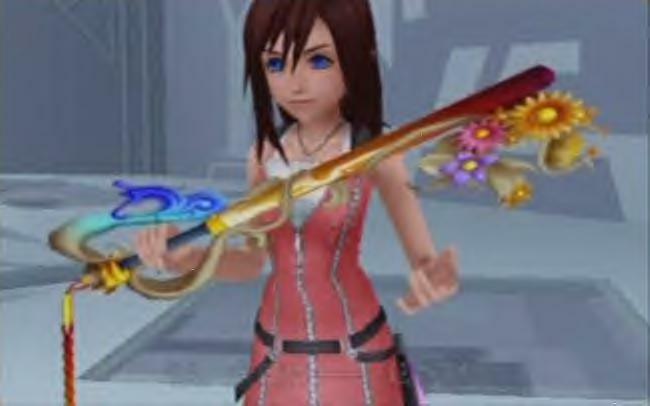 Kairi then gains a keyblade (out of nowhere), and fights alongside Riku, after she learns who he is. She returns to the Island, with Donald, Goofy and the King, while Sora and Riku are trapped in the realm of darkness. Sora finds the letter that she wrote to him, and it causes the door to light to open, allowing them to return. In the ending, as she and Sora look at each other, they see Roxas and Naminé. Sora finally returns to her the Lucky Charm she lent him in KH I.
Kairi meets with Aqua, in Birth by Sleep, in Radiant Gardens, where she used to live. She unintentionally touches Aqua's keyblade, becoming able to wield one, and Aqua has the feeling that their meeting was not just a coincidence. 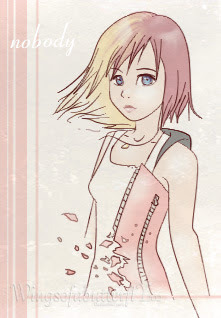 Xion, who looks a lot like Kairi, is made out of the memories of her that Naminé stole from Sora. 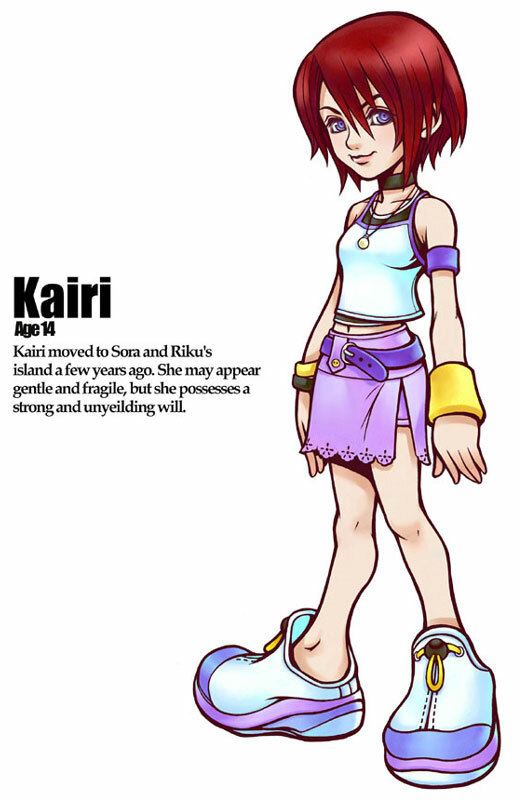 Her name means "Sea" in japanese, relating her to Aqua, whose name means "Water"
Kairi with her keyblade, in the Castle That Never Was.